Each show is approx. 20 min. Long - A 30 min. show when the local radio station added their commercials, news and weather. 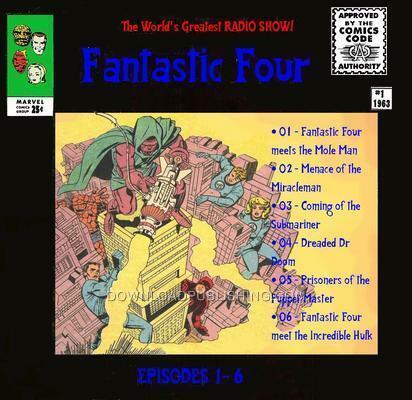 This was a very short-lived radio show that aired in 1975 that adapted early Kirby/Lee stories, and is noted for the casting of a pre-Saturday Night Live Bill Murray as the Human Torch. Stan Lee is the host of the series. Complete Series Set. 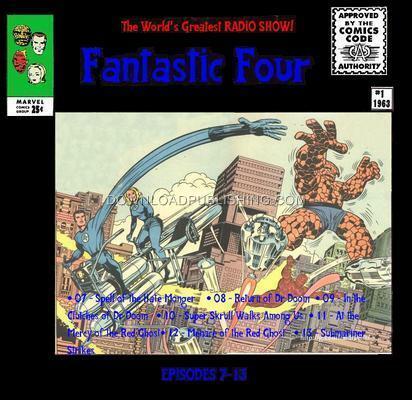 There are a total of 13 Fantastic Four episodes in the series.